The below article is not our and we post this as to information. This by no means is medical advise or medical claims. These articles are presented for educational purposes only. The content herein does not propose to prevent, diagnose, treat or cure disease or illness or provide any other medical advice. You should consult with your physician prior to engaging with any medical or health-related program. Hemp Genix does not warrant the accuracy, completeness, timeliness, correctness, or fitness for a particular purpose of the information or views made available through this media and discussion site or the material contained within. Information contained herein may also be subject to applicable laws and regulations which may vary over time. Hemp Genix does not undertake any obligation to update or correct any information presented in this site. Hemp Genix does not endorse any products or specific companies. A systematic review of research on Cannabidiol (CBD) shows evidence of CBD’s anxiolytic effects in humans. Evidence of cannabidiol’s (CBD) anxiolytic effects is been shown in an increasing number of studies. Cannabidiol (CBD), a major constituent of Cannabis sativa, is a good candidate for therapeutic applications because it has no psychoactive effect and does not impair cognition, unlike Tetrahydrocannabinol (THC) or the “high” typically associated with the use of marijuana. The first evidence of CBD’s anxiolytic effects in humans, documented with assessment scales, was published in 1982 in a study on the interaction between CBD and THC.7 The study sample consisted of eight volunteers with a mean age of 27 years, no health problems and who had not used Cannabis sativa in the previous 15 days. In a double-blind procedure, the volunteers received CBD, THC, THC + CBD, diazepam, and placebo in different sequences and days. The results showed that the increased anxiety following the administration of THC was significantly attenuated with the simultaneous administration of CBD (THC + CBD). 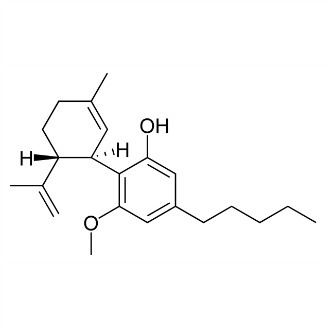 SPECT was also used later to investigate the neural correlates of CBD’s anxiolytic effects in a sample of patients with SAD.17 A single dose of CBD 400 mg was able to reduce subjective anxiety measures and SPECT showed changes in the same regions previously identified in healthy volunteers. These articles are presented for educational purposes only. The content herein does not propose to prevent, diagnose, treat or cure disease or illness or provide any other medical advice. You should consult with your physician prior to engaging with any medical or health-related program. Hemp Genix does not warrant the accuracy, completeness, timeliness, correctness, or fitness for a particular purpose of the information or views made available through this media and discussion site or the material contained within. Information contained herein may also be subject to applicable laws and regulations which may vary over time. Hemp Genix does not undertake any obligation to update or correct any information presented in this site. Hemp Genix does not endorse any products or specific companies.